What would you do if, right this moment, somebody gives you over P1 MILLION? Remember your answer as we’ll return to this later. For now, let’s talk about savings and budget! Most of us want to save money… but there are ALWAYS groceries to buy, bills to pay, emergency expenses, and things we “need” to buy. If we only earned more money, we can save more, right? Unfortunately, when we DO earn more through promotions, pay raises, and bonuses, there are MORE things we “need” to buy so we spend all our money. Getting more money only makes us SPEND more, not SAVE more. It’s like pouring more water in a weave basket. You and me, taxi drivers, bus drivers, office workers, janitors, supervisors, managers, etc. all earn different salaries. Some earn more, some earn less. We all have bills to pay and families to feed… yet for some reason, most of us have empty bank accounts. Really, the reason why most of us have no savings… is because we don’t save! It’s not that we CAN’T; it’s because we DON’T. How do you use it? Simple: Whenever you receive your paycheck, save around 10% of your salary first and invest it! If you think you “can’t” live on less money than what you earn every month, remember you’re already doing it. When was the last time you paid attention to the money you lost through income tax and SSS payments? You’ll learn to adjust your lifestyle and waste less money when you start this habit, and as you continue saving and investing, you’ll eventually grow wealthy! The reason why almost EVERY finance book and website has an article like this is because it’s EFFECTIVE. All you have to do is follow the formula until it becomes a habit. The formula is simple: Every time you earn money, divide it into five jars/accounts. Yes, that includes allowances and bonuses. 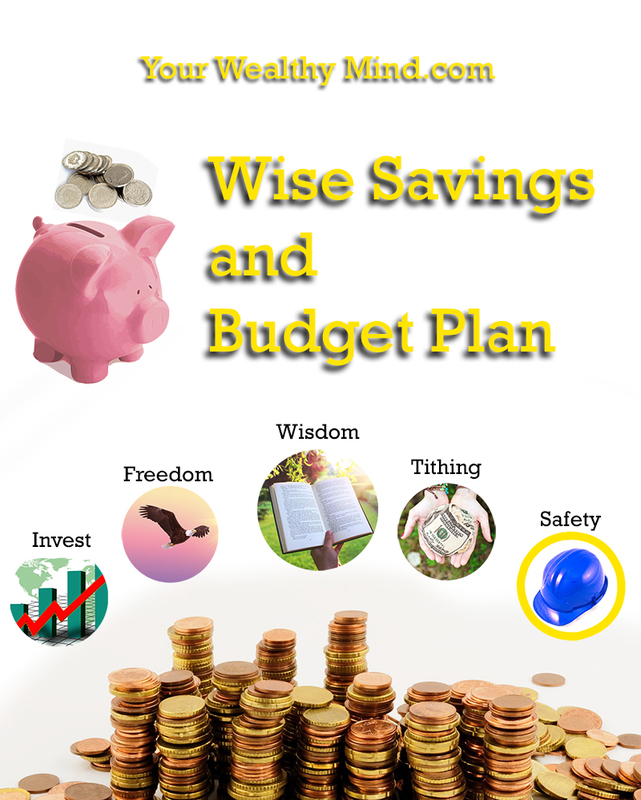 This is my version, and the one main difference is my emphasis on the “Wisdom Account.” That is, in my opinion and experience (click link for my “From Books to Riches” article), the single most important one of all as it’s the one that will unlock great opportunities for you. Remember: To make sure you have savings, you must SAVE FIRST before you pay the bills and buy anything (including food)! If your bills are too high, learn to waste less electricity and water. If groceries are too expensive, learn to buy cheaper (yet still nutritious) food from better sources. Save at least 10% for investing. This is for buying assets (things that make money) like excellent stocks, bonds, mutual funds, real estate, businesses, etc. When you invest your money in assets, your investments earn money for you. 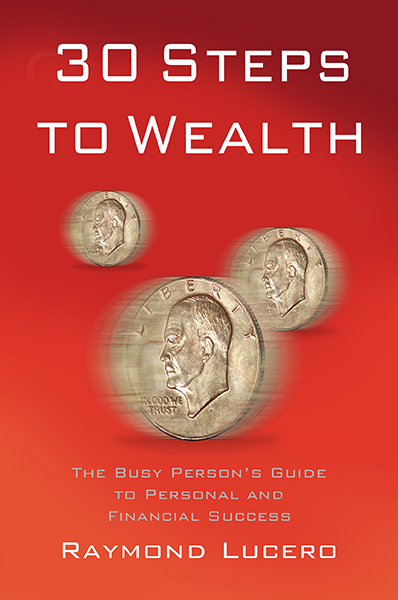 As you keep investing the money you earn (from work and from your assets), you earn even MORE money. This is what Robert Kiyosaki of “Rich Dad Poor Dad ” and T. Harv Eker of “Secrets of the Millionaire Mind ” meant when they talk about making your money work for you. Those who work hard for their money stay poor or average. Those who learn to make money work hard for them grow rich. Save around 5-10% of every paycheck until you have around 3-6 months’ worth of living expenses saved up. This means that if you need P5,000 to pay for food, water, electricity and other utility bills every month, then save around P15,000 to P30,000 in a separate bank account. Emergencies like sudden illnesses, layoffs, typhoons, etc. can destroy your finances and ruin everything you worked hard for if you’re not prepared. These things are a part of life, so we better prepare for them when we can. When you’re done saving for 3-6 months of expenses, you can continue adding more or you can start adding the money you saved to your investment and wisdom accounts. NOTE: This account is only for REAL emergencies. Suddenly wanting a brand new cellphone or gadget is NOT an emergency. If you have any credit card debts, loans, or borrowed money from friends and family, stop borrowing any more money and avoid getting into MORE debt. Save 10-20% or MORE every salary to pay them ALL back. Remember what the bible said (Proverbs 22:7): “the borrower is the lender’s slave.” Pay off everything you owe and be FREE from debt. Life gets a lot better when you’re not hiding from people you owe money to. When you’re done paying off your debt, you can start adding the money you saved for your investment and wisdom accounts. This one is optional: Save 10% of your income and give it to charity. The reason? It’s for helping those less fortunate and for making the world a better place. The more you give, the more blessings you receive. When you are charitable, you realize you’re not a victim and that you’re actually wealthy enough to help people. This one, I believe, is the most important of the five. Why? You can’t invest properly if you don’t know how to invest, you can’t succeed in business if you don’t know how to start and manage a business properly, and you can’t become a millionaire if you don’t know how to earn millions. You’ll almost certainly fail if you don’t know what you’re doing, and you can only succeed when you learn how to do things well. Can you imagine driving a car through mountain roads… if you don’t know how to drive? It’s highly likely you’ll crash and fall off a cliff. The same is true for investing, business, and life success in general: Before you start, use the Wisdom Account to buy books and join seminars to learn how to do it properly. Many of us say education is important and even the poorest farmers work hard to send their children to school, yet how many of us would rather spend P500 on cigarettes, beer, and junk food instead of a good book that can teach us how to be wealthy, financially independent millionaires or BETTER? If P3,000 worth of books can teach you to earn MILLIONS in a few decades and be wealthy enough to never need to work again… will you buy them? If you learned that you’ll LOSE MILLIONS of pesos throughout your lifetime by ignoring those books… will you still choose to buy those extra junk food, cigarettes, liquor, unnecessary clothes, and things you don’t need? Never forget this account as EVERYTHING starts from here. You will find more opportunities in life when you LEARN that they exist, and when you LEARN HOW to USE THEM. You can start small with around 1% each, but you need to eventually grow it to 10% each or better (safety and freedom accounts are eventually paid off anyway). It seems hard at first, but when you start, discipline yourself and develop the habit, it will be as easy as brushing your teeth or taking a bath. Remember that at the start of this article somebody gave you P1 Million or MORE? Do you know who gave it to you? That’s your past self from several years ago. Long ago, you started learning how to save and invest and now you’re reaping your reward. Remember, 20, 30, 40 years will pass starting now. Will you start saving and investing to be a millionaire? If you don’t, then instead of millions of pesos, you’ll only get a huge bill… and you have no money to pay for it because you already spent everything you earned. It’s your choice anyway: Will you discipline yourself to start saving and become wealthy, or will you spend all that you earn and end up poor? It’s one thing to save what little you have, but it usually won’t be enough to buy the greatest things in life. You want to own a mansion, travel to Europe or Hawaii and the Caribbean, eat at five-star hotels and restaurants, but right now you have the salary of a truck driver or a janitor. With a low salary, you can only save so much and afford so little, so what should we do? Steve Siebold, author of “How Rich People Think ” said that average people focus on saving and rich people focus on earning. When you desire better things in life and need a bigger income, you will find a thousand ways to earn it. Imagine: What if you learned how to start a business that earns P10,000 a month and expand it to earn more than P10 million a month in ten years? What if you learned to invest P10 million in other businesses so you can earn P100 million a month or more without you needing to work (your investments earn money for you)? So how do we do that? HOW do we earn more? How do we earn that much wealth? THIS is what the Wisdom Account is for and why it’s so important! You can only achieve your goals and dreams when you LEARN HOW TO EARN THEM! Have you started saving and budgeting? Do you set money aside for your Education? Do you have any tips to improve this savings plan? If you think this can help your friends and family, you can share this on Facebook!